RALEIGH, NC- Susan G. Komen® North Carolina Triangle to the Coast (NCTC) is reaching out to local churches to spread the message of early detection with its Worship in Pink program. Worship in Pink is a grassroots effort to partner Susan G. Komen® North Carolina Triangle to the Coast with faith-based organizations to provide educational resources to congregations about breast health and breast cancer. It encourages churches to join us in the fight against breast cancer and honor breast cancer survivors in their communities. Breast cancer is the most frequently diagnosed cancer among women in the U.S.
African-American women have a 44 percent higher death rate from breast cancer. 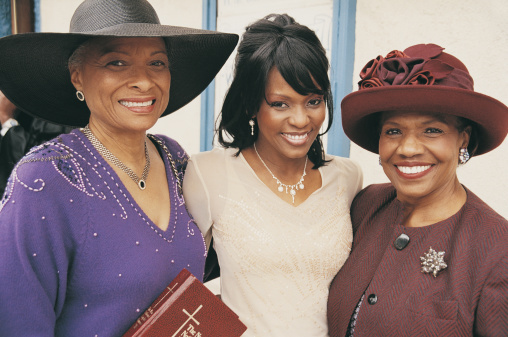 African- American women tend to get breast cancer at an earlier age, when it is more aggressive. In addition to educational materials, Komen NCTC is providing churches with a toolkit that contains ideas and resources to help plan, develop, and implement Worship in Pink events. The resources in the toolkit are simple to implement and may be used at the discretion of each congregation. Visit http://tinyurl.com/worshipinpink to get more information or to register your church.